Former Clemson quarterback Kelly Bryant announced Tuesday night that he has committed to Missouri. He is expected to enroll in classes this January to be ready for spring ball, according to The Kansas City Star. 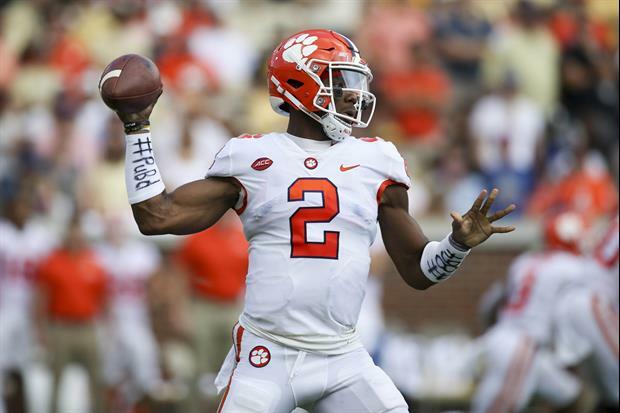 Former Clemson quarterback Kelly Bryant committed to the Tigers on Tuesday night, choosing Missouri over Auburn, Arkansas, North Carolina and Mississippi State. He likely could have played anywhere with a quarterback vacancy. The 6-foot-3 dual-threat quarterback visited Missouri on Oct. 27 for the Tigers’ game against Kentucky and will fill Drew Lock’s shoes under center in the spring. He plans to enroll at MU in January and will be on campus for spring football. Why would a guy that just a year ago was starting for a National Championship level team want to go to Mizzou? Or to any SEC East school for that matter? Easiest path to SEC Championship game. He already showed he wasn't up to a challenge when he was benched at Clemson. What a joke. What's next? SEC West School Wins SEC Championship Game! I guess whoever wrote the piece was having difficulty typing, Bryant Commits to Mizzou. Lol! East > West next year. How? Mizzou already had a great QB this year. In what way does this upgrade them any more than they were this year?